safely through the certification process. Complete an application today. The market for electrical products in Australia and New Zealand is huge, and growing every day in line with advances in technology and growing affordability. However, the use of electricity as an energy source carries potential hazards that need to be understood and controlled. The new Electrical Equipment Safety System (EESS) regulations have been designed to ensure that all electrical equipment offered for sale within Australia and New Zealand meets a range of essential safety criteria so as to eliminate these potential hazards. The Electrical Equipment Safety System (EESS) is closely aligned with international practices and based on International Standards wherever possible. 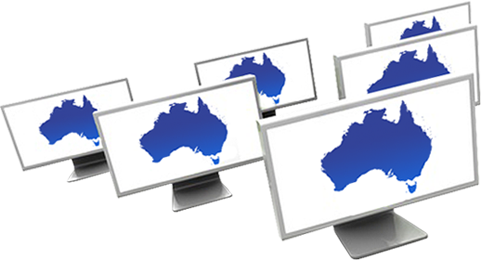 It commenced on the 1 March 2013 in Queensland with other participating jurisdictions progressively introducing complimentary legislation after that date. Less than 1000V AC RMS or 1500V ripple‐free DC, that is designed or marketed as suitable for household, personal or similar use. A National Database where all suppliers and certain types of equipment must be registered prior to being offered for sale. Risk based classification of equipment into 3 levels (Level 3 = High Risk, Level 2 = Medium Risk and Level 1 = Low Risk) with different requirements for each level. Registration of a ‘Responsible Supplier’, who is a manufacturer or importer of electrical equipment and who must ensure the safety of the electrical equipment they sell. 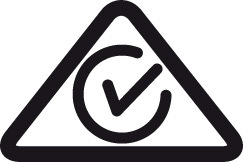 All in-scope electrical equipment must be marked with the Regulatory Compliance Mark (RCM). EESS regulations require electrical equipment to be classified into three levels of risk: high, medium and low. The evidence of conformity requirements vary for each level, depending upon the classification. All electrical equipment must be safe and meet the relevant standards. Level 1 electrical equipment (Low Risk). The Responsible Supplier for Level 1 equipment must keep evidence, in English, that the items meet conformity at the time the item was either manufactured or imported. This evidence is to be kept by the Responsible Supplier for a period of 5 years starting on the day the item is last manufactured or imported by the Responsible Supplier. Level 2 electrical equipment (Medium Risk). A Responsible Supplier is required to keep a Compliance Folder. A Compliance Folder is a document recording evidence, in English, that must include test reports completed by an approved testing entity or a suitably qualified person, confirming that the equipment type being registered meets the requirements. Level 3 electrical equipment (High Risk). The evidence of compliance for level 3 equipment is a valid Certificate of Conformity. The Certificate of Conformity must be issued by a recognised certifying body for each item of Level 3 electrical equipment, or family of items. These guidelines give you more information to help you better understand the EESS Conformity Certification process.